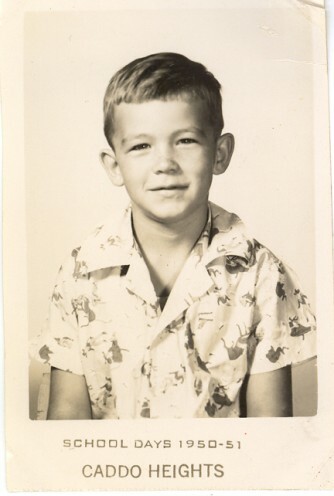 "Click on picture to enlarge"
First Grade This is my first grade picture. Starting out in school at Glen Alpine. Back in those days there were no pre-school, kindergarten and all the other things, schools and educational sources they have today. You just went to school when you were six or turning six by the end of October.....I think. So yes, you did need all your required medical shots. My teacher in the first grade was Irene D. Eggers and School principal W. A. Young. Mrs. Eggers was the mother of my classmate Ann Eggers. School period 1948-1949. Third Grade Oh yes, the third grade. 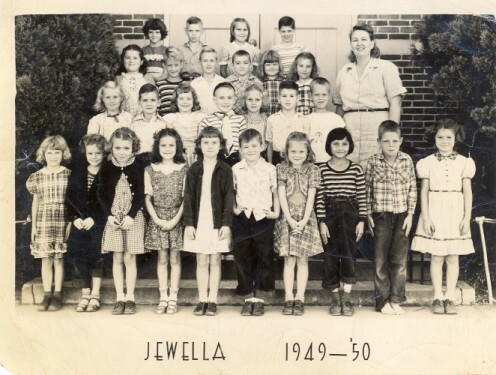 We were in Shreveport, Louisiana at Jewella School in the Caddo Parish School System. I guess you are wondering why the family is in Shreveport, LA. Well my father was in the military and he was stationed in Shreveport for a couple of year. Apparently I went o Jewella School for the full year in the third grade. I noticed on the report card that we were graded not as done today; a-b-c-d-e, etc. We were given "S for satisfactory" and "O for outstanding progress" and maybe a "L for Little or no progress." Certainly different today! 1950-1951 was the school year. Fourth Grade The Fourth Grade: We moved back to Glen Alpine in 1951 and attended the full year at Glen Alpine School. Don't have many memories about the fourth grade. 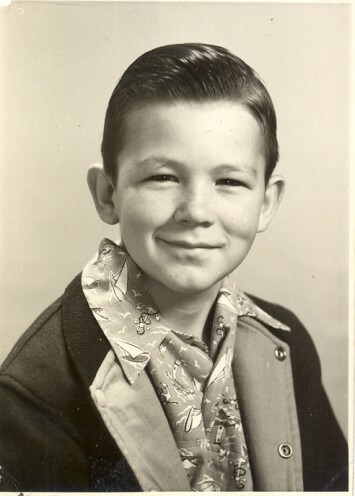 I do remember the "Hopalong Cassidy" shirt that I have wearing when my school picture was made. His horse's name was Topper. It was my favorite shirt at the time and I loved it. Wish I still had it; it may be worth some money as a collector's item. My teacher in this grade at G. A. was Frances Ensley. 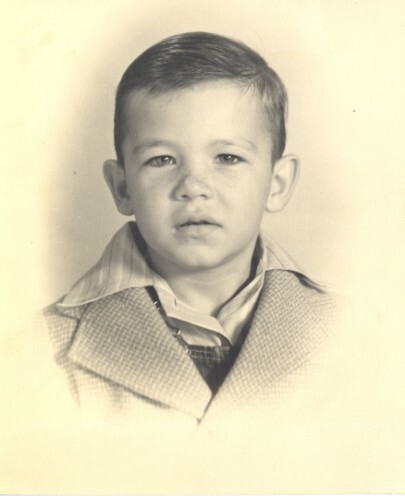 I do remember before moving back to Glen Alpine in 1951 that I had a baby sister to die. "Andrea E. Fox, Born 7/2/1950 and died 3/2/1951 in Shreveport, LA. and buried here in Burke County in Gibbs Chapel Church on Jamestown Road. This was school year 1951-1952. Fifth Grade Fifth Grade: My teacher was Winnie Smith. 1952/1953. This was the first year that W. C. Whitener name was signed as principal of elementary school. I think maybe W. A. 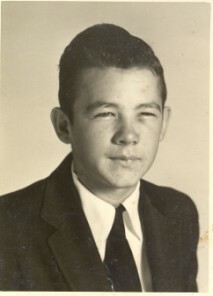 Young was principal of the high school and maybe school superintendent. I was wearing one of my favorite coats for this picture. I guess just to have a coat would be my favorite. Mrs. Smith had a kind word to say about me. Taken from my school transcripts. "Dewey is the kind a teacher enjoys teaching. Always ready to help himself and takes advice." I received a "Reading Circle Certificate" for this school year. Lucky me. Six Grade Oh that sixth grade; I noticed on my report card that my teacher was Ethel Reid and I made mostly A's and B" and a C every now and then. I do remember that my mother made all my shirts in those years. She made the shirt I was wearing when my picture on left was taken. She was an excellent seamstress. She made all the clothes possible that my sisters and I wore. I also remember about this time in life that we would make some clothes out of flour bags. We would buy flour or some hog feed and would be careful that the bags were not cut so we could sew them into our cloths. It's amazing what we did in those days. How about school year 1953-54. Seventh Grade I don't remember too much about the seventh grade. Most of these comments are coming from my report card. My teacher was Mrs. Simpson and the principal was E. C. Whitener. My grades mostly A's and B's and maybe a C or two. School Year was 1954-1955. From my school transcripts, Mrs. Simpson wrote, " Dewey's speech is improving, he is quiet, well-mannered and studious. Gets along with others well." Eighth Grade The Eight's Grade was a time of excitement. It was a time that we would look forward to graduating from the eight grade into high school. A time that we would choose our own classes, have different teachers and move around to different rooms within the high school. According to my report card my teacher was Mrs. Sylvia Secrest and she wrote in my transcripts; "Dewey is a nice child to work with. Could do better work although he is an average pupil." My grades were not very good but I got a "Perfect Attendance Certificate" and a "Certificate of Promotion." Praise the Lord! 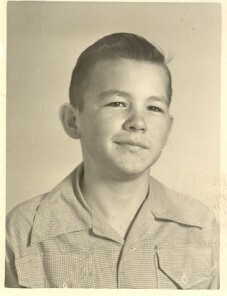 School year 1955-1956. Ninth Grade In the Ninth Grade was a time of change from the eight grade. I was now in high school. More freedom to change from one room to another when the bell would ring to change to another room for our next class. It was a mad rush for 5 or 10 minutes when everyone in the high school was rushing to the next class and then silent as we all gather into the appropriate classroom. My home room teacher was Mr. Lynch, which I think was also my algebra teacher. I did manage to get a "Prefect Attendance Certificate." Mr. Lynch wrote in my transcripts; "Dewey is very well mannered. he works hard and gets along with others." Grade not the best! 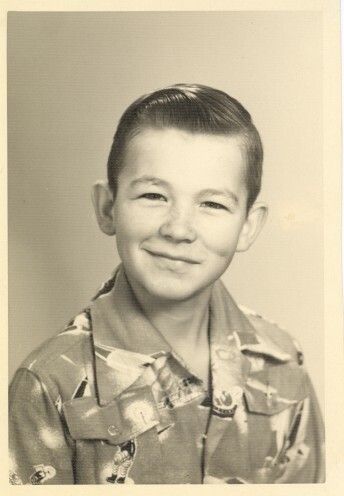 This was school year 1956-1957. 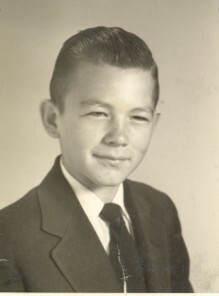 Tenth Grade In the Tenth Grade I started at Glen Alpine High for the fall period and maybe went their for a couple of months and then moved to Crossnore, N. C. Attending Crossnore High School where the principal was Dwight A. Fink. I enjoyed my time in the mountains and made a lot of friends, a few I'm still in contact with today. My grades begin to fall at this point in life. Most of it was probably my fault, not trying hard enough. I miss those times in the mountains. 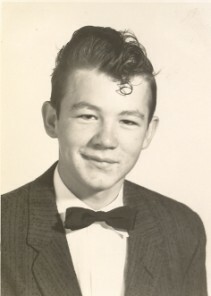 School year was 1957-1958. Twelfth Grade The early part of my twelfth year was at Crossnore High School, but we moved back to Glen Alpine and I started back in the twelfth grade at G. A. High School. It was good and I met a lot of old friends that I hadn't seen in several years. This year I did not get a school picture made because by the time I got to Glen Alpine, the senior class had already had their individual pictures made. The picture on the left is one taken for the Senior Annual. Also my report card is missing from the scrapbook. I don't know what happened to it. I was so glad to finish school and get out that I may not have picked up the last report card. I noticed on my school transcripts that I was ranked 41st from a class of 52. I can't imagine anyone worst than me. 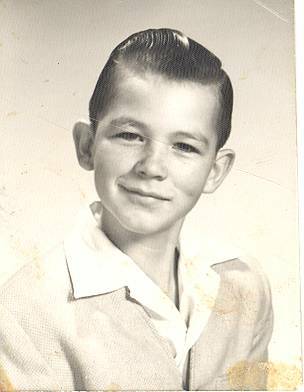 This was school year 1959-1960. My homework teacher was Mrs. Hemphill she wrote in my transcripts. "Dewey, with a little pushing, will do the work required. Courteous and well-mannered in class." The information and pictures were obtained from a scrapbook that my mother put together for me during the years. She thoughtfully kept all the pictures and report cards. Of course, most of the report card painful to review.